If it’s always been your dream to immigrate to the United States, an EB-5 visa could be your perfect opportunity – provided you follow all the necessary requirements. The EB-5 immigrant investor visa was created by Congress to make investing in the US an attractive prospect for potential immigrants, while at the same time creating jobs for American workers. Successful EB-5 investors would also be entitled to apply for a Green Card for US permanent residence. It may sound appealing, but it’s not as easy as simply coughing up the money. 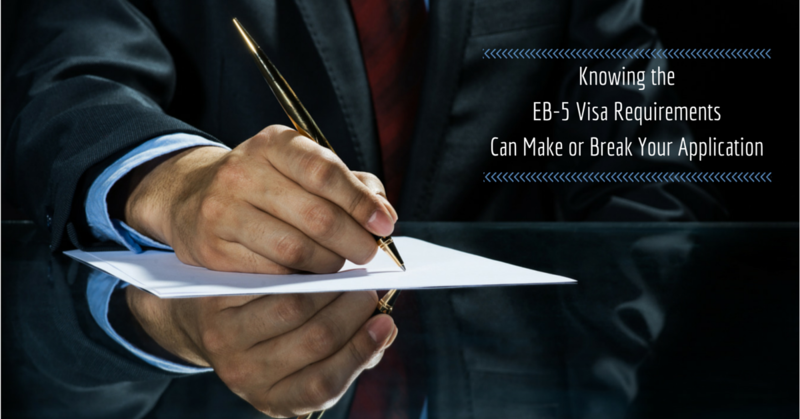 Below, we’re going to look closer at the specific requirements you will need to fulfill in order to successfully submit your EB-5 visa application. “In general, the investor must meet capital investment amount requirements, job creation requirements, and ensure that the business receiving the investment qualifies for the EB-5 program. You must establish a business in the United States, or invest in an existing business that was either created or restructured after November 1, 1990. Your EB-5 investment can be in the form of cash, cash equivalents, equipment, inventory, tangible property, or secured indebtedness and must be valuated based on the United Stated dollar fair market value. Documentation of assets that have been purchased or transferred from abroad for the enterprise in question. Need Professional Legal Help to Immigrate to the US as an Investor? The EB-5 visa is a great opportunity for investors to immigrate to the United States, but the process is anything but easy. At Niren and Associates, we’ve helped countless investors through the complicated legal procedures, ensuring that all “t”s are crossed and all “i”s are dotted. With over 17 years experience and over 50,000 satisfied clients, we know how to get results. If you’re an investor who needs help with preparing your business plan and a smooth immigration experience, get a free assessment today, and let us help you do business in the US.